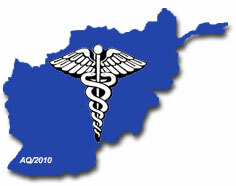 1TV: The construction work of 400-bed Hospital in Kabul has been completed, officials said Sunday. The hospital is the main treatment center for wounded Afghan soldiers and its most parts were damaged following a deadly attack on March 8. “We were able to successfully reconstruct the hospital within three weeks through government budget, and now it is open for patients,” said Nilofar Langar, a spokesman for the Ministry of Urban Development and Housing. Click here to read more (external link).